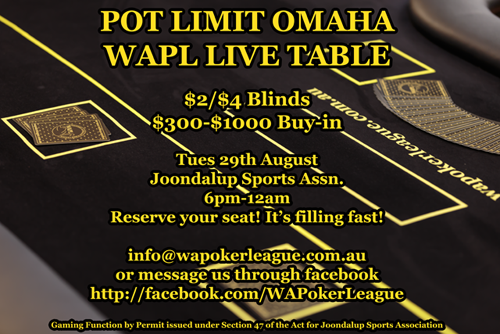 Well, after 11.5 years, it's about time we held our first PLO game! Where better to hold it than on our hugely popular WAPL Live Table? Don't miss out on this opportunity :) Get in touch with us now to secure your seat!